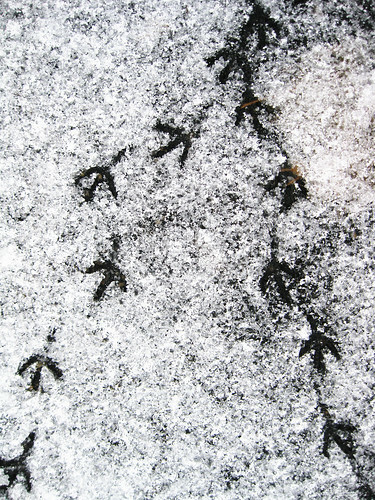 I was amused watching the Mourning Doves walk along the paved sidewalk leaving their footprints in the snow. We also watched flock after flock of Tundra Swans leave and land. This entry was posted in birds, winter. Bookmark the permalink. Like hieroglyphics. So … what does it all mean?